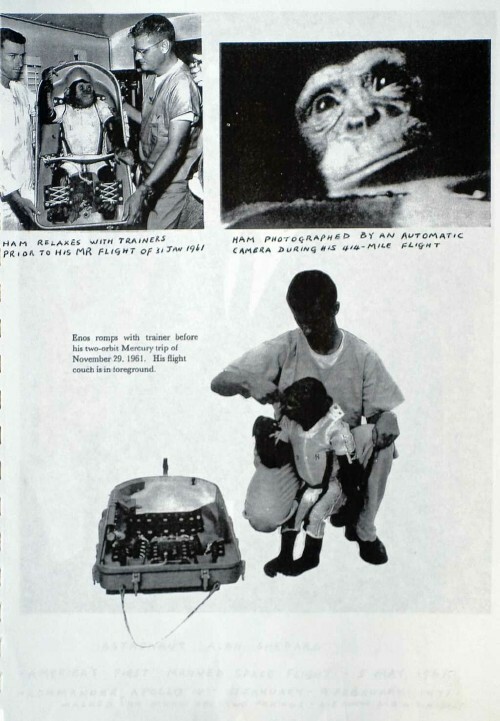 These are some of the illustrations accompanying Lloyd Bott’s “My Association with NASA”. 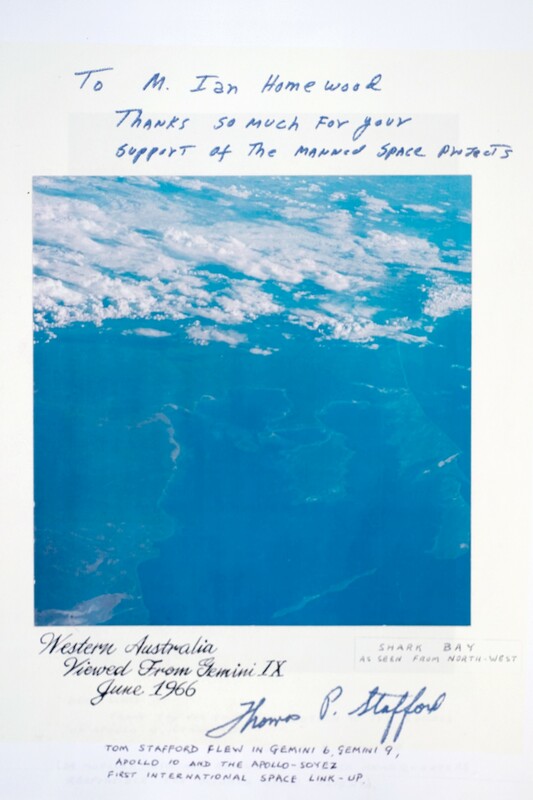 Astronaut Alan Shepard visits Carnarvon, W.A. 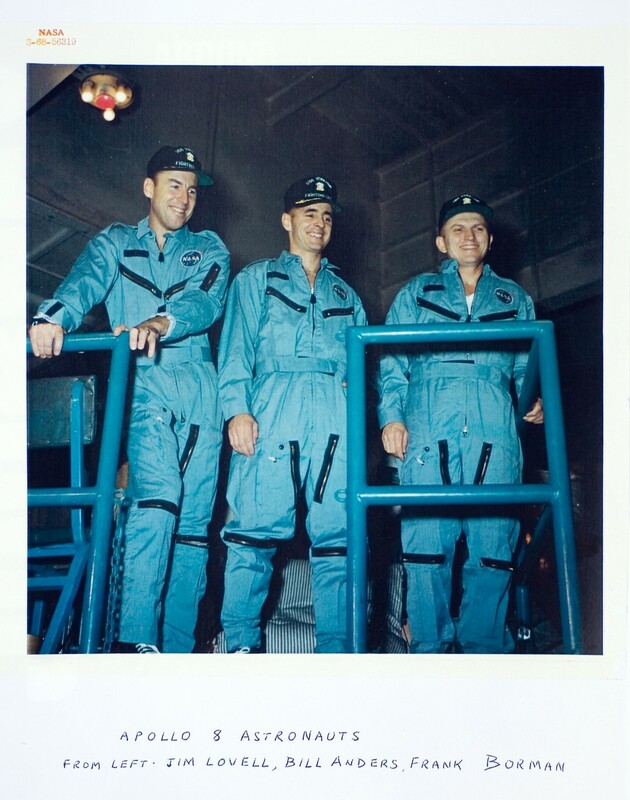 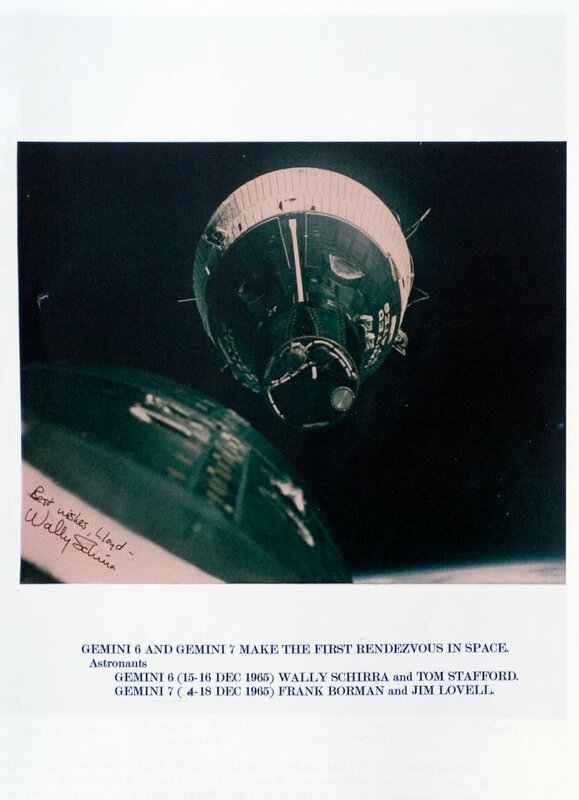 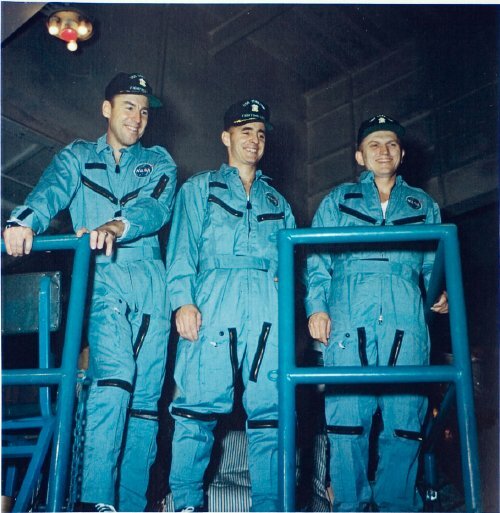 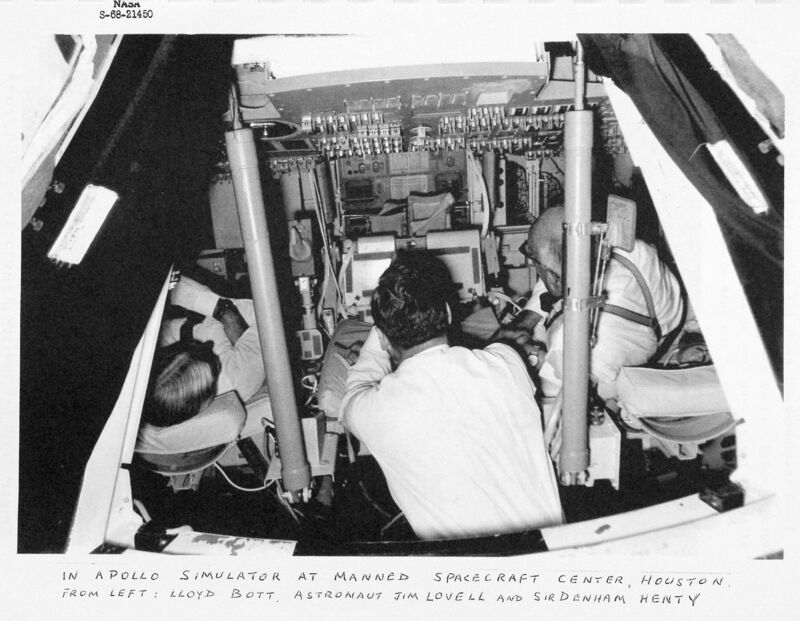 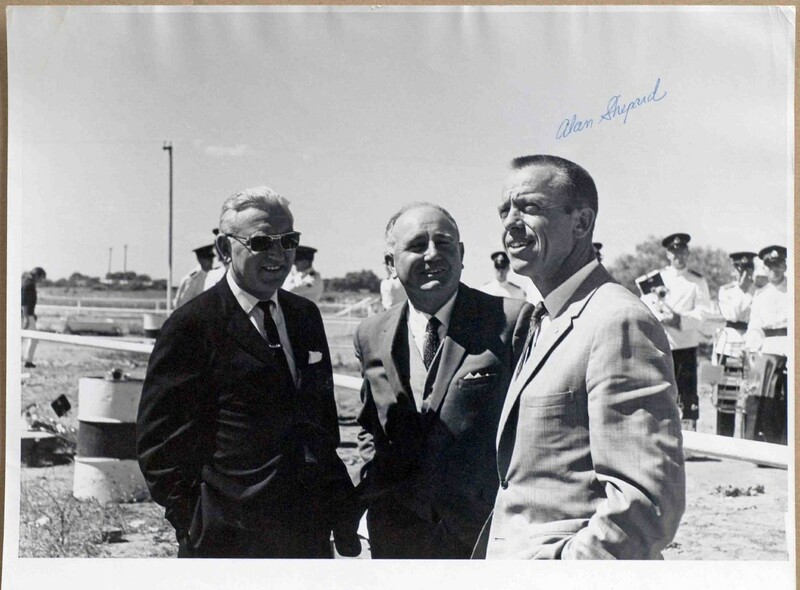 In Apollo simulator – Jim Lovell, Sir Denham Henty and Lloyd Bott. 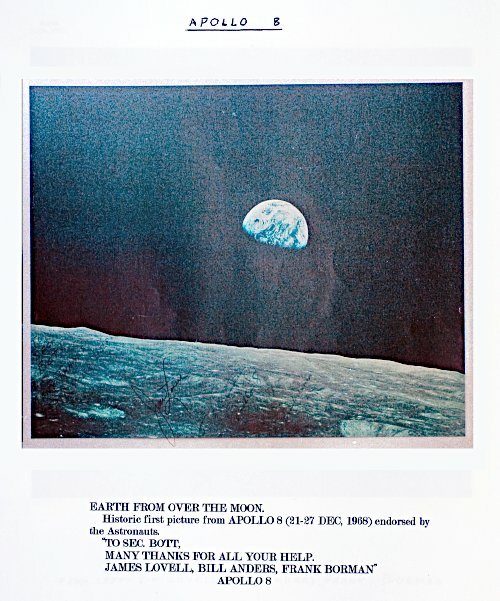 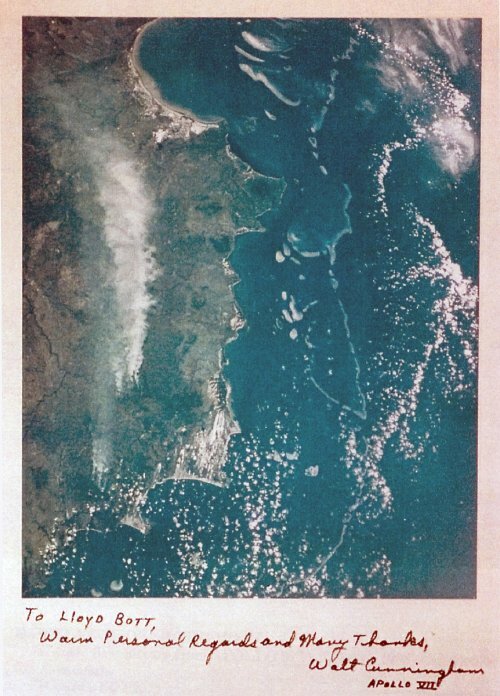 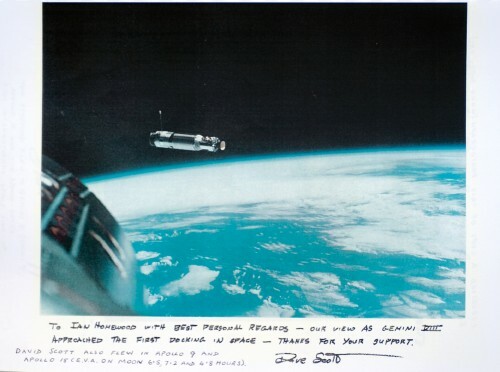 First historic picture of Earth from over the Moon – Apollo 8. 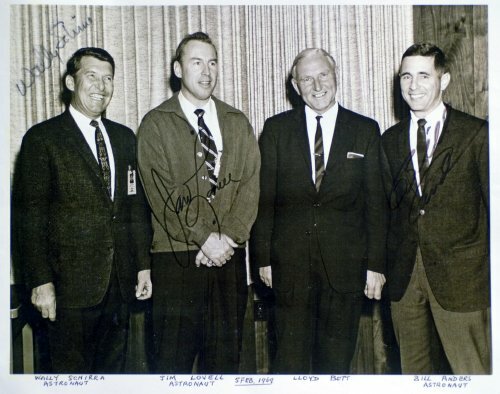 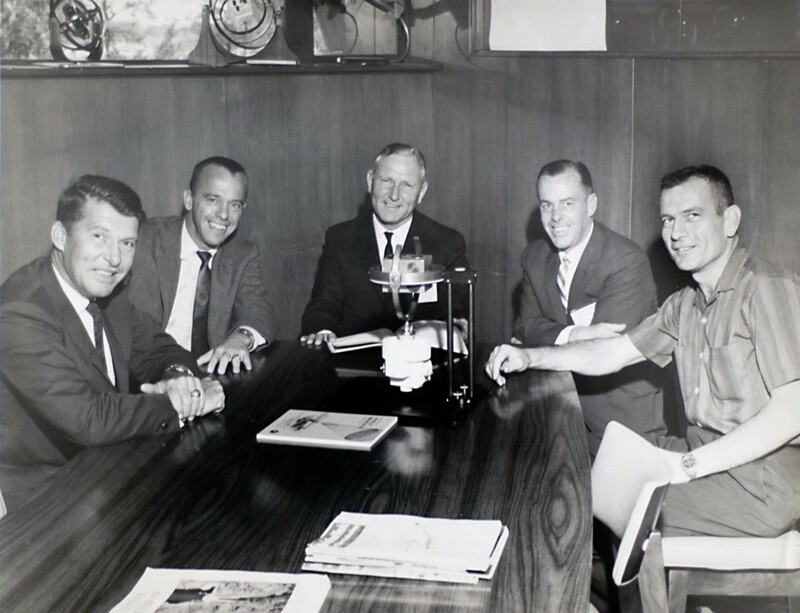 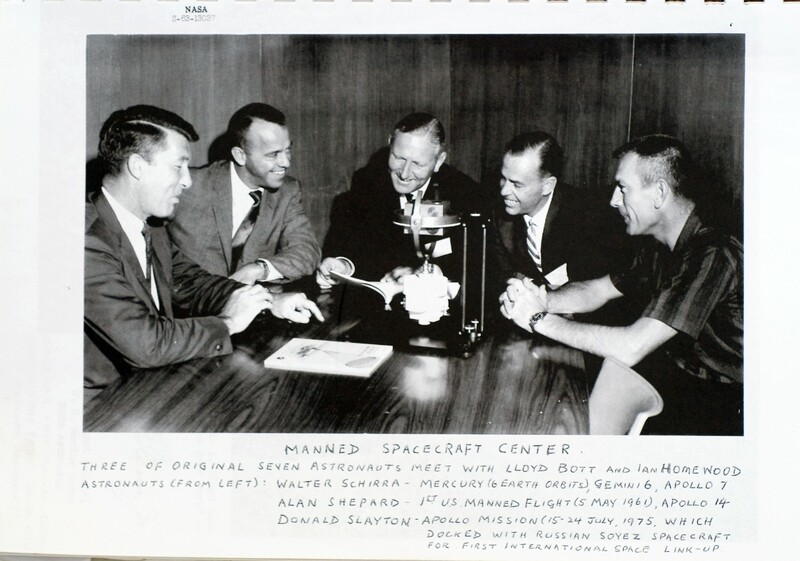 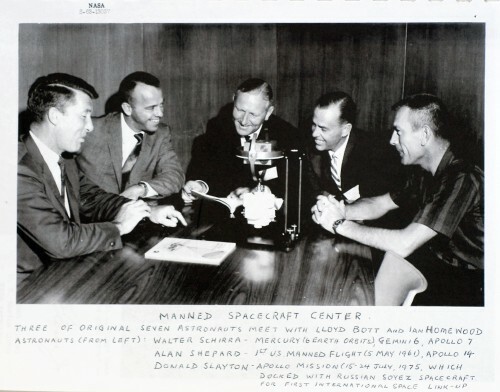 Astronauts Wally Schirra, Jim Lovell and Bill Anders with Lloyd Bott. 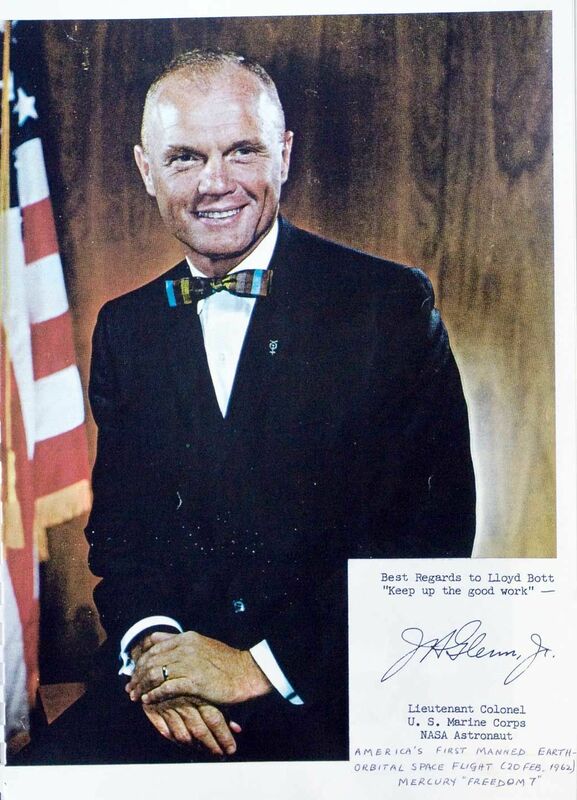 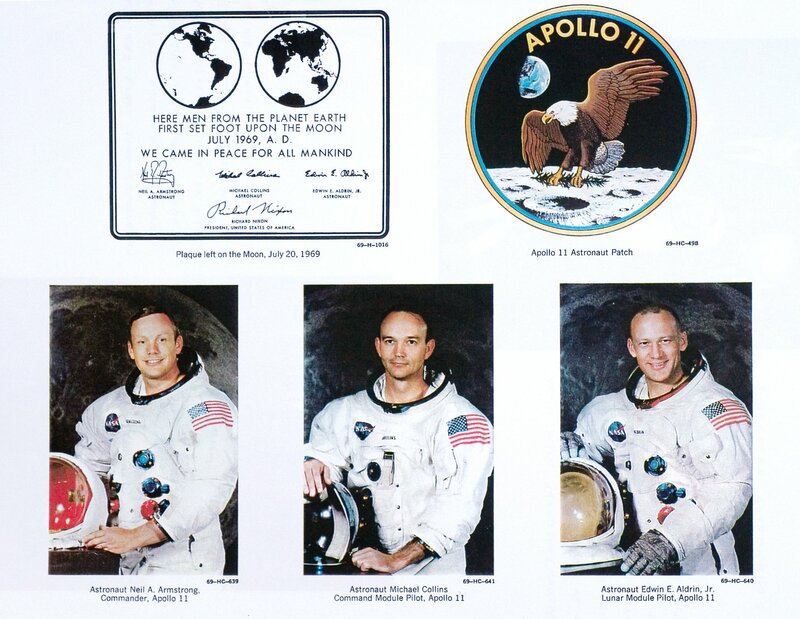 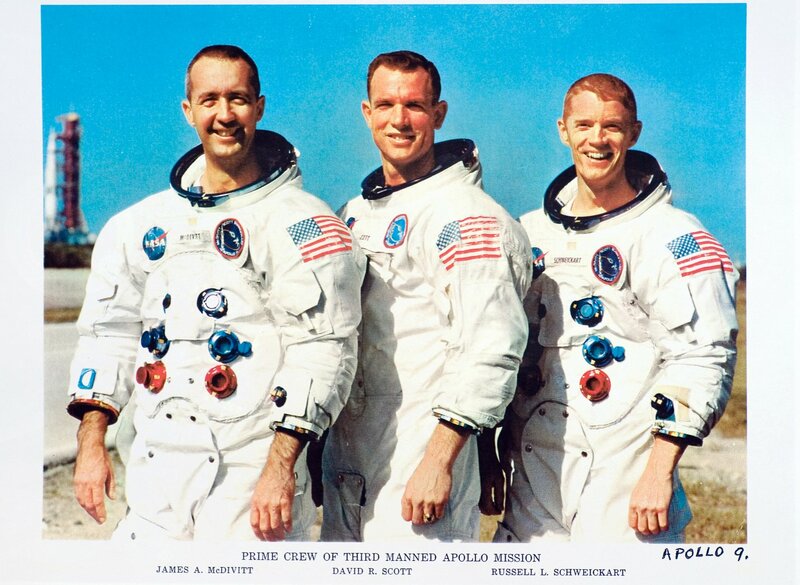 Apollo 11 Astronauts, Moon plaque and Astronaut Patch. 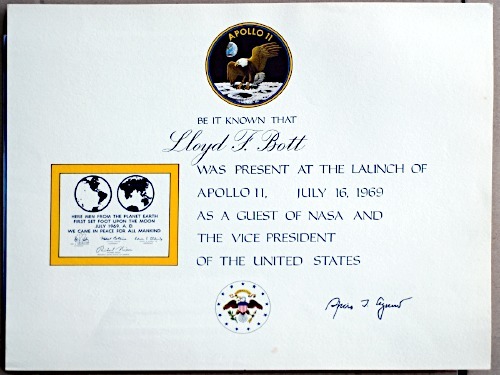 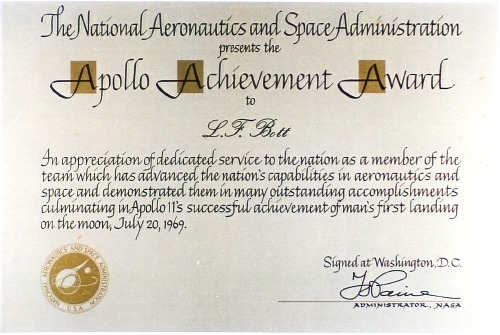 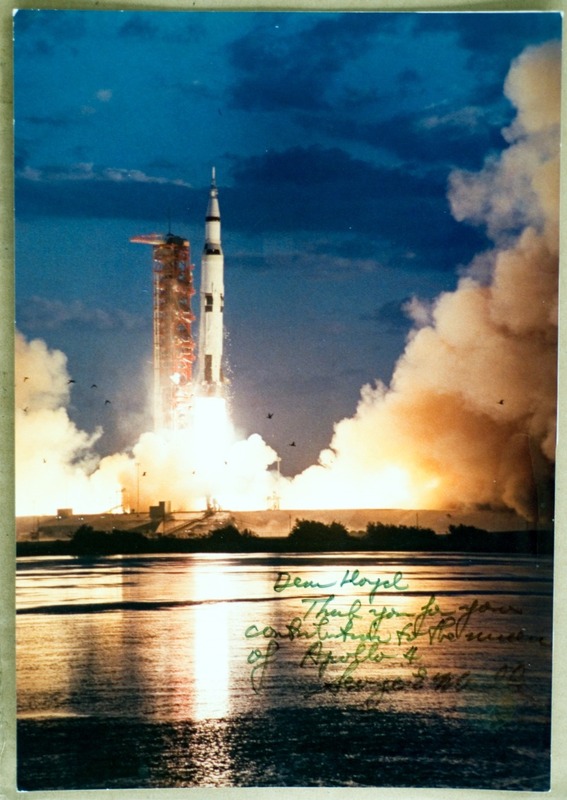 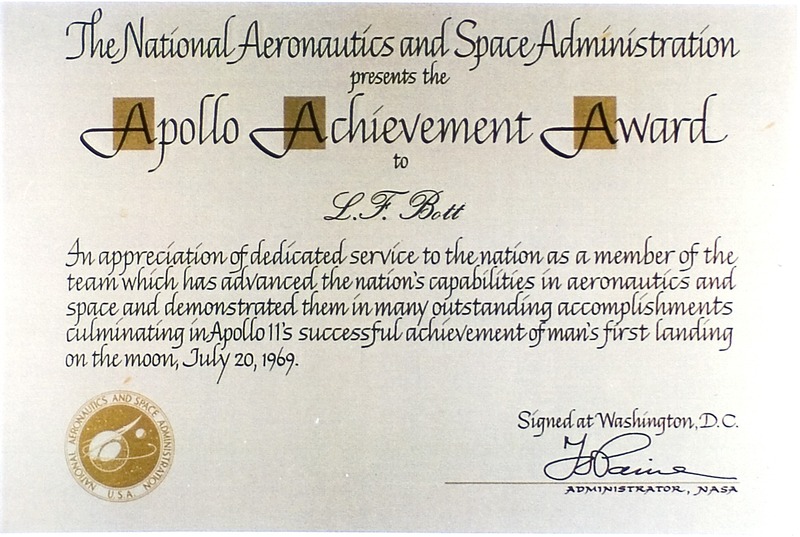 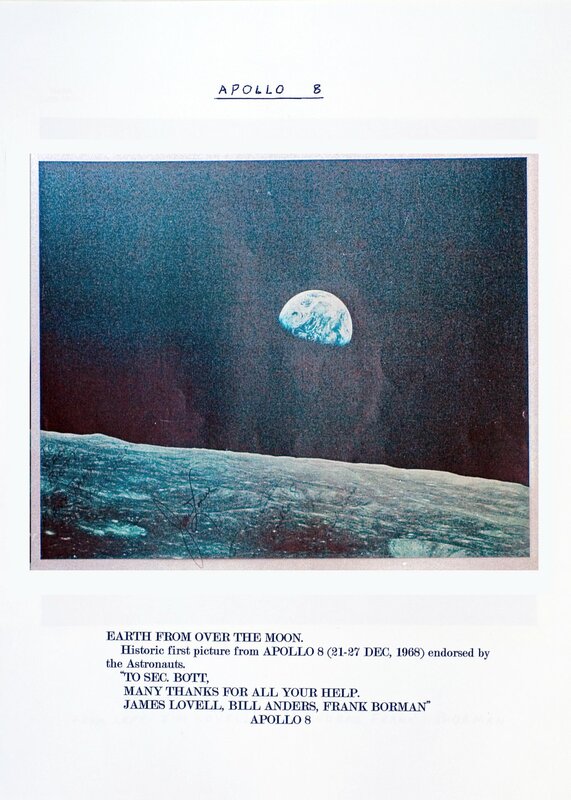 Certificate of Lloyd F. Bott’s presence at launch of Apollo 11. 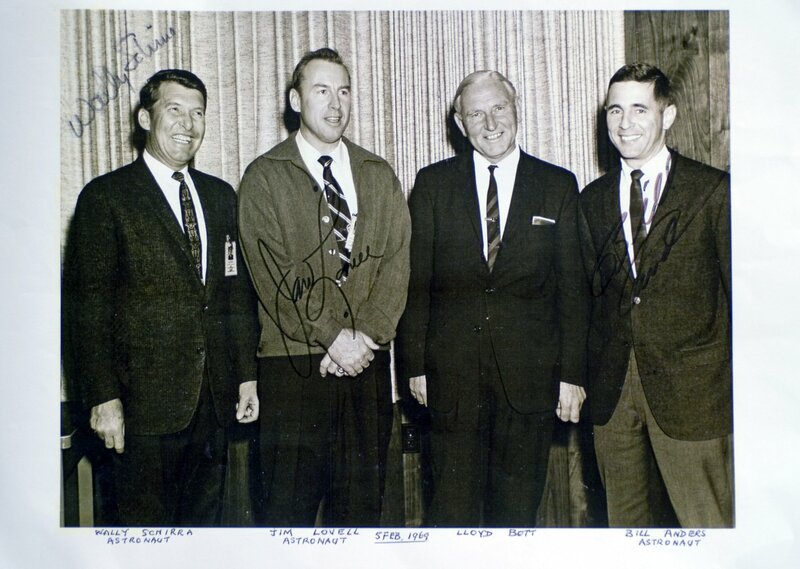 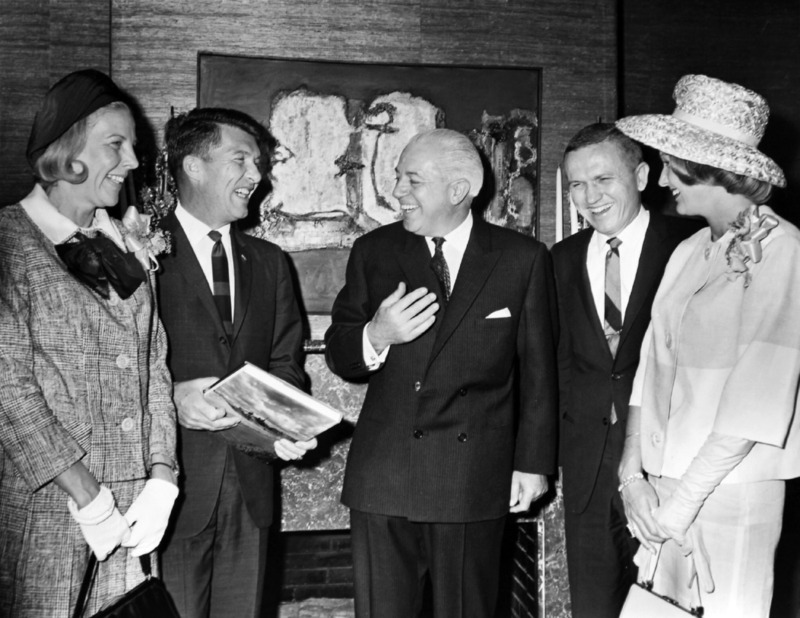 Prime Minister Harold Holt with Wally Schirra and Frank Borman (March 1966). 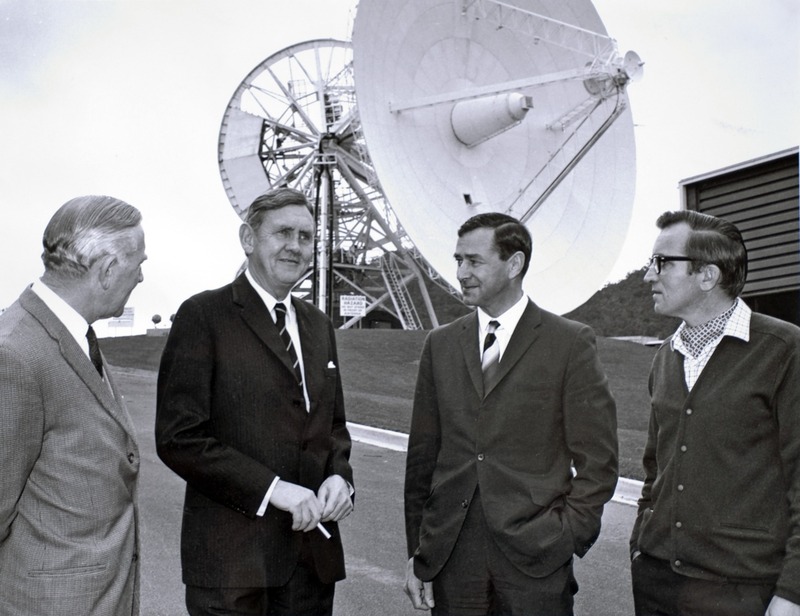 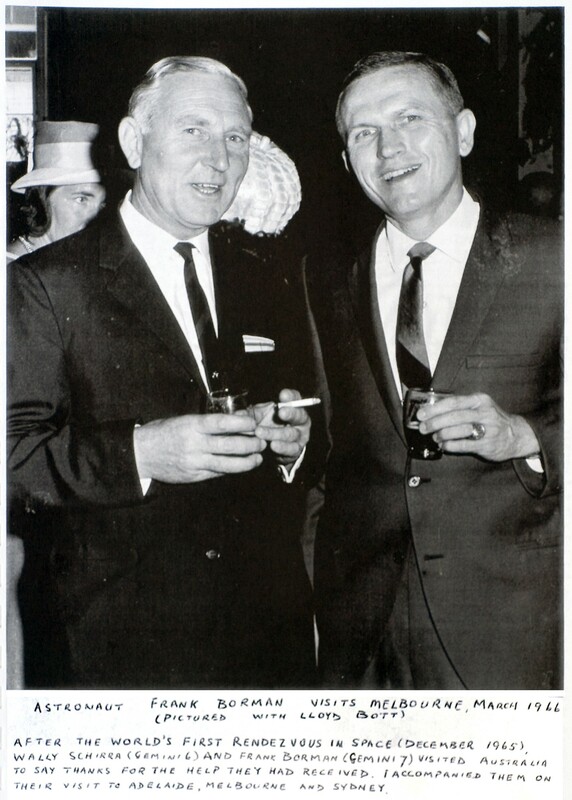 Lloyd Bott (Deputy Secretary Department of Supply), Prime Minister John Gorton, Allan Cooley (Secretary Department of Supply), Station Director Tom Reid at Honeysuckle Creek on the morning of Monday 21 July 1969. 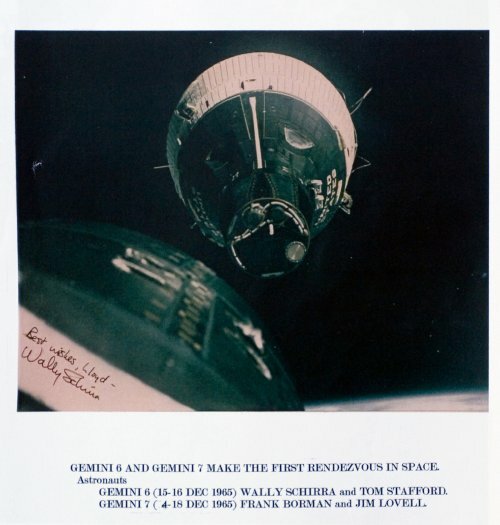 The photo was taken after the lunar landing, but before the EVA. 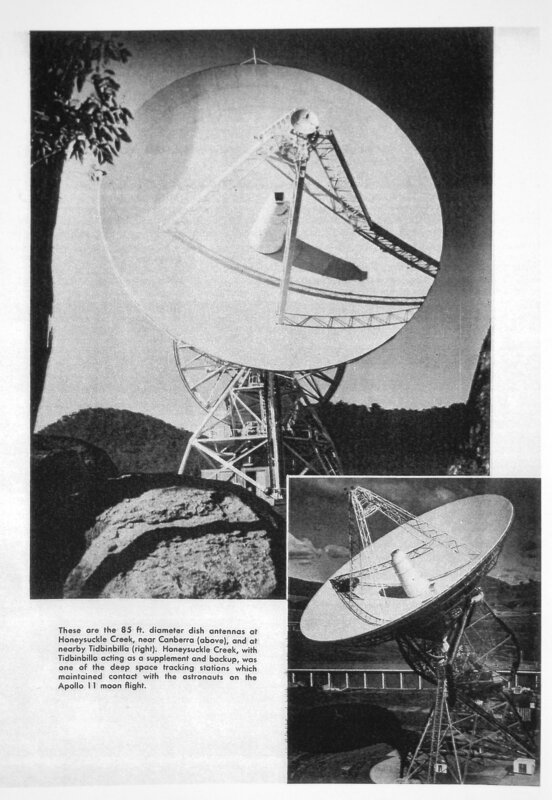 85 ft antennae at Australian stations at Honeysuckle Creek and Tidbinbilla. 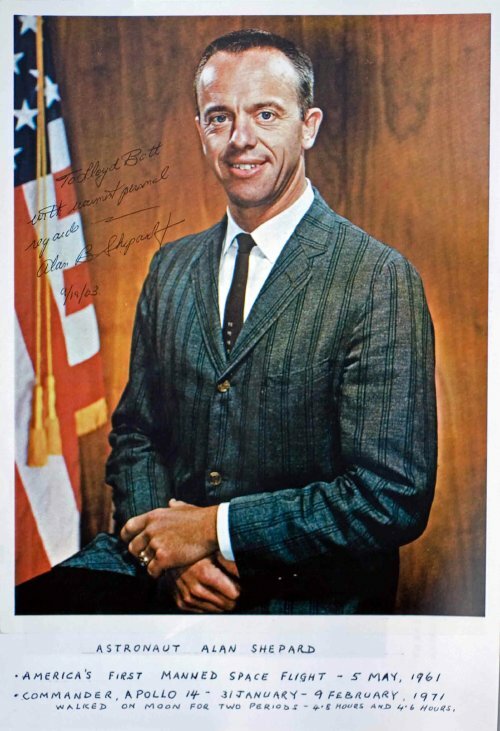 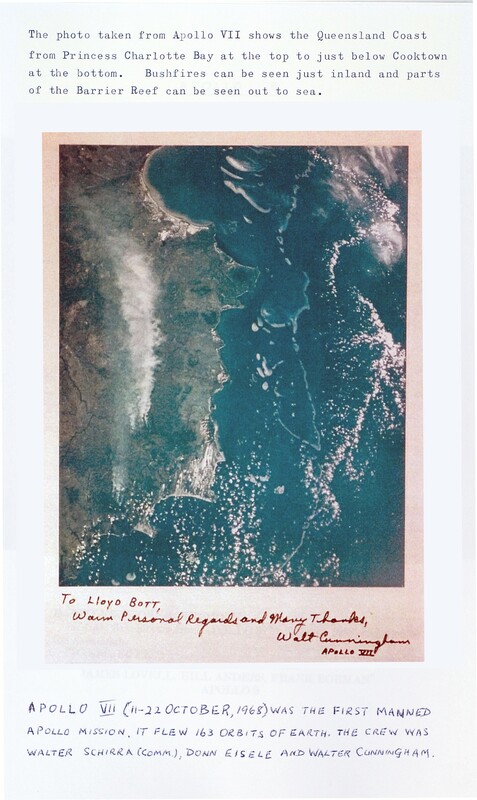 Obituary Alan Shepard – 22 July 1998.